Provides trusted, time-tested maintenance training and reference materials for aviation maintenance technician (AMT) students seeking a convenient digital solution. 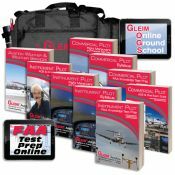 Gleim's Airline Transport Pilot Kit contains all that you need to advance to the highest airman certificate. 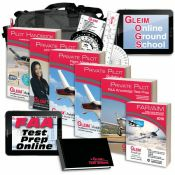 The Commercial Pilot Kit is an all-in-one program designed to expedite training for the commercial pilot certificate. 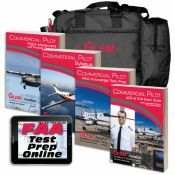 The Instrument/Commercial Pilot Kit is an all-in-one program designed to expedite training for both the Instrument rating and the Commercial Pilot certificate. 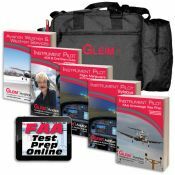 Gleim Instrument/Commercial Combination Kit will get you through both the instrument rating and commercial pilot training. 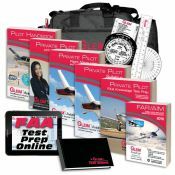 The Deluxe Instrument Pilot Kit with Online Ground School is an all-in-one program designed to expedite training for the instrument rating. 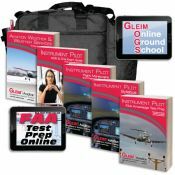 The Deluxe Private Pilot Kit is an all-in-one program designed to expedite training for the Private Pilot certificate. 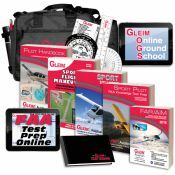 Gleim's Sport Pilot Kit is designed to help expedite training for the sport pilot certificate. 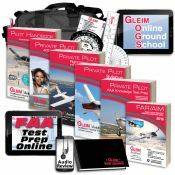 The Deluxe Sport Pilot Kit with Online Ground School is an all-in-one program designed to expedite training for the Sport Pilot certificate. The Private Pilot Kit is an all-in-one program designed to expedite training for the Private Pilot certificate. Perfect kit for introductory students with all the necessary ebooks and supplies they need, in a single box! Ideal basic kit for students preparing for their Private Certificate under Part 61. 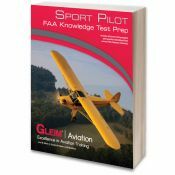 A comprehensive kit for students in Part 61 private pilot training. Developed for the FAR 61 training program, the Instrument/Commercial Part 61 Kit is chock full of all your training essentials. Developed for the FAR 141 training program, the Instrument/Commercial Part 141 Kit is chock full of all your training essentials.